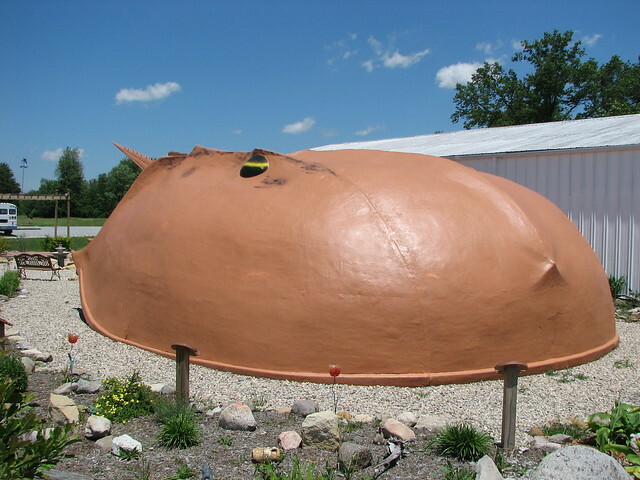 The world’s largest Horseshoe Crab is in Blanchester, Ohio. I know what you are thinking: 1) what is a Horseshoe Crab, and 2) why is there a crab in Ohio, which is no where near an ocean?? 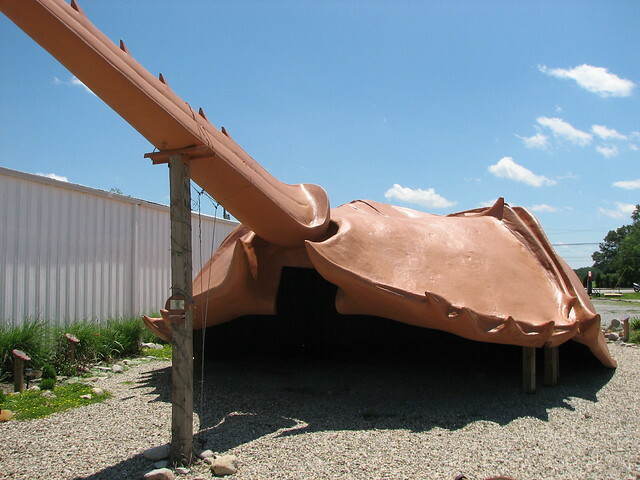 Horseshoe crabs are not true crabs, but they do live in the sea, and they are arthropods, and they have blue blood, and they look amazing… and the world’s largest one is a giant sculpture. You’ll find it at the Freedom Worship Baptist Church in Blanchester, Ohio. Read more about it on Roadside America.